This brand new walking tour was researched, designed, and curated by the 2017 cohort of the academy’s Workforce Development, Entrepreneur & College Preparatory Internship program; a joint collaboration between 540WMain and Rochester Works Summer of Opportunity Program that employs five Rochester city youth for eight weeks each summer. “Back to the Past” is the sister tour to last summer’s Historical Urban Art Walking Tour and will focus on the architecture of historic homes in the Madison Square/West Main Street Historic District. 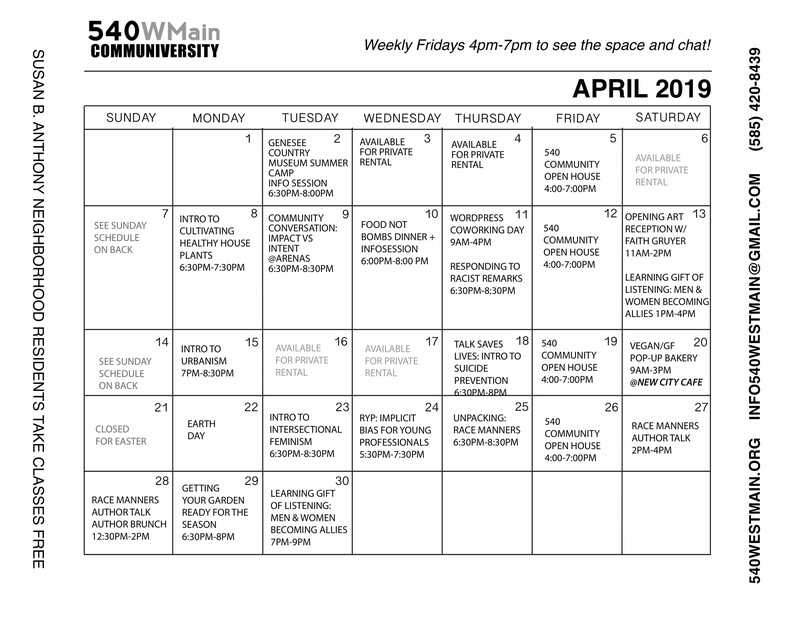 The entire City of Rochester is invited to join the student interns who will be kicking off 540WMain’s fall tour season with this guided walking tour. The walking tour kicks off at 6PM on August 24th and has a price of $7/ per person with proceeds supporting 540WMain’s community programming. Part of the kickoff will be live streamed on 540WMain’s Facebook page, https://www.facebook.com/540WMain/.